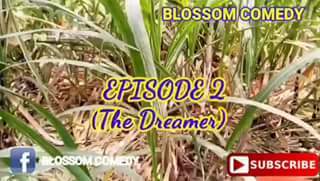 VIDEO: Blossom Comedy – The Dreamer (Episode 2) 3GP MP4 Download. Blossom Comedy Are Back Again With Thier New Funny Comedy Video After the success Of Long Throat, This New Episode of blosssom comedy will make you Laugh and Laugh More, The Hillarious Comedy Video Is Tittled The Dreamer. SEE ALSO Photo: This gentleman is a big fan of matching outfits.